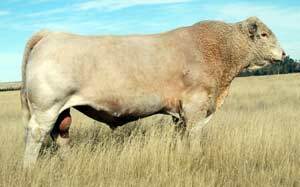 Easy Blend is out of the very best cow family at LT Ranch in SD. He posted a 108 weaning ratio and exhibits lots of muscle expression on a sound structure. He boasts some of the best spread EPD's and most current genetics available.